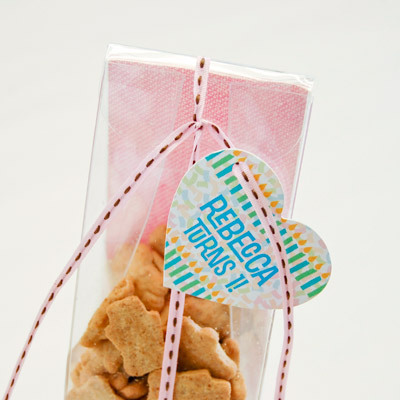 Clear favor boxes containing animal crackers or peanuts make appropriate favors for a circus themed baby shower. 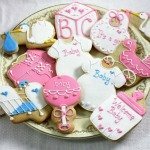 They are simple to assemble, practical, and even though inexpensive your guests will love them. Get the full tutorial step by step. Good Luck and Enjoy! 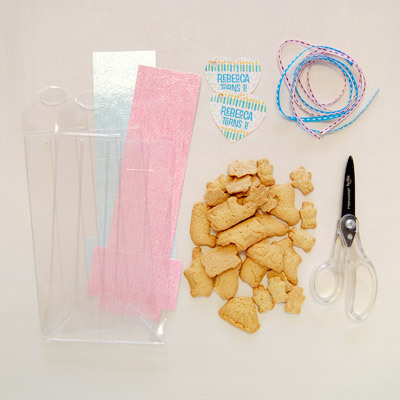 How to Assemble Circus Baby Shower Animal Crackers Favor Box in 1.5 Minutes? Step 1 Assemble favor boxes. 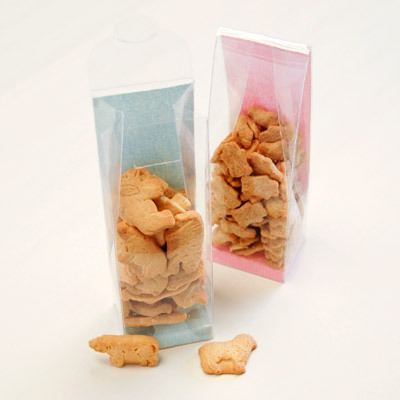 Step 2 Fill bag with animal cookies , then close. Step 3 Cut ribbon into 22" lengths. Step 4 Tie ribbon around the bag with a double knot, add the personalized tag, and then finish off with a bow. 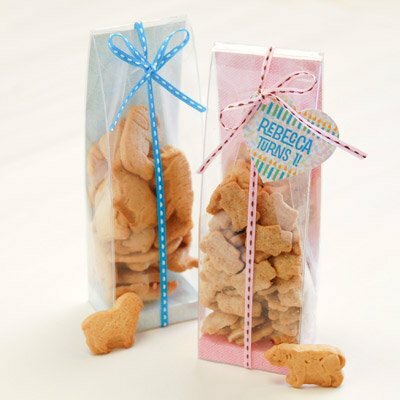 You can adapt this idea to kid's birthday parties, animal-themed events and cookie-swap parties.